LBS acknowledges long-term partnership with the media fraternity at its LBS Media Appreciation Night 2018. 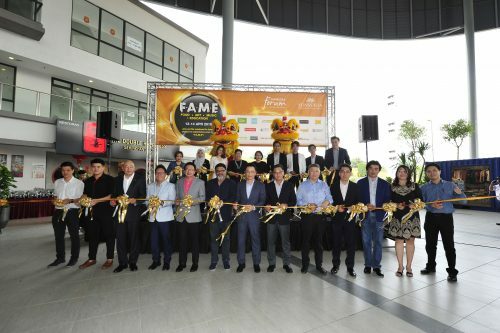 (Fifth from left) LBS Bina Group Berhad, Group Managing Director, Tan Sri Lim Hock San with (from left) MGB Berhad Executive Director & Deputy CEO, Mr Isaac Lim, MGB Berhad Executive Director & CEO Datuk Richard Lim, LBS Executive Directors Dato’ Cynthia Lim, Datuk Wira Joey Lim, Datuk Seri Daniel Lim, Major (Hon) Dato’ Sri Daniel Lim, Dato’ Sri Barry Lim and Dato’ Alan Chia. 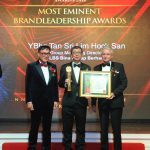 9 November, PETALING JAYA – The media fraternity were seeing spots at the LBS Bina Group Berhad (LBS) Media Appreciation Night this year. However, the situation did not require any medical attention as guests were intentionally dressed in vibrant polka dots and striped outfits in honour of the celebration’s theme. LBS organised the Media Appreciation Night as a gesture to reconnect and thank the media fraternity for their long-term support. “It is important to appreciate the people who have made an impact in our lives. 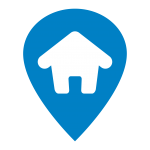 Being in the industry for over two decades, we believe the media has played an important role in our growth especially by objectively communicating with our audiences. 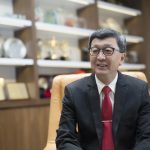 We look forward to nurture stronger friendships and explore innovative ways of collaborating in line with the evolving trends of media consumption,” said LBS Group Managing Director, Tan Sri Lim Hock San. 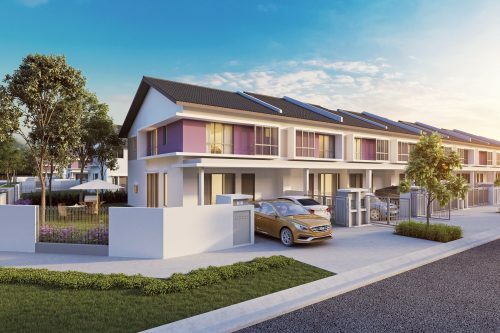 Amidst a challenging market trend, LBS continues to enjoy steady growth this year supported by positive response for its developments such as LBS Alam Perdana, Residensi Bintang Bukit Jalil and Zenopy Residences. 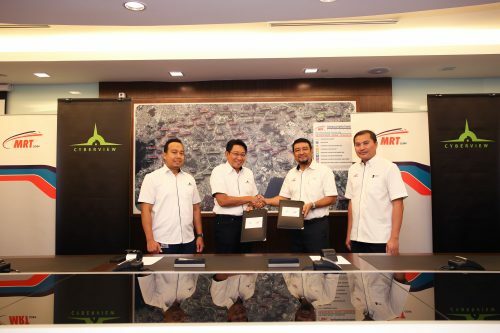 The Group has recorded close to RM1.4 billion in sales as at end of October 2018. 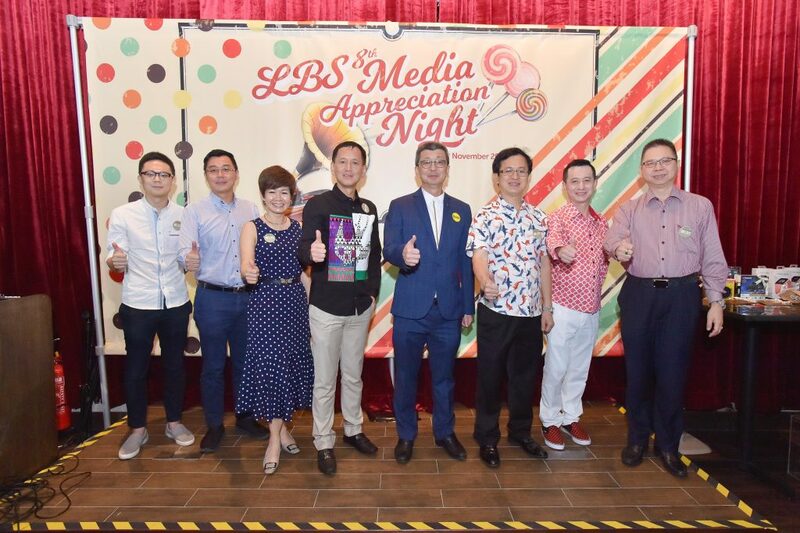 The LBS Media Appreciation Night gathered a diverse group from the media fraternity across the business, news, property and lifestyle sections. Close to 200 media representatives were treated to an impressive selection of dishes to satisfy their palates as they reconnected with the LBS team over the latest industry happenings. The evening’s programme was dotted with exciting lucky draw sessions which had guests waiting in anticipation for their numbers to be called out. The night ended on a high note with the grand lucky draw followed by a surprise lucky draw round.